Whether you are a 14,000+ bed hospital system or a small outpatient facility, we have you covered, by having the right product, in the right quantity, in the right place, at the right time; no linen provider can ever be perfect, but we always strive to be. We are passionate about protecting our customers and their patients and are able to adapt our efficient systems and tools to any size customer. 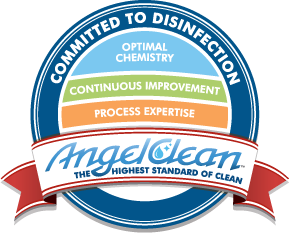 As an Angelica customer, you’ll benefit from our innovative approach to managing your linen programs. We understand that cost-effective linen processing and distribution programs are highly sophisticated processes. More importantly, we listen to our customers and integrate their input. We want to develop a partnership with our customers, through which we are able to gain an understanding of their needs, and customize the program that will best suit their needs. Before Angelica attempts to bring you any proposed solution, we spend time analyzing your business. We gather key operational data such as what linen products you are currently using, your consumption pattern, and how you are distributing the products. Take advantage of our wealth of knowledge regarding hospital linen. We will work with you in assessing your medical linen supply. If an alternate product is available that more closely meets your facility’s requirements, we will tell you about it. This assessment is the key in establishing the pricing for your textile rental program. The closer we can model actual product utilization, the more accurately we can price your services relative to your current consumption. Objectives for inventory levels are customer-specific based on your input and are set to meet your requirements and expectations. The day-to-day processing of medical linen service involves receiving orders from the customer, filling the orders, delivering the orders to the customer locations in a timely manner, picking up soiled linen, laundering, and repeating the process as necessary to meet your requirements and expectations. AngelTrak® lowers linen cost and improves linen access for healthcare facilities resulting in the best value in Linen systems. Find out more.